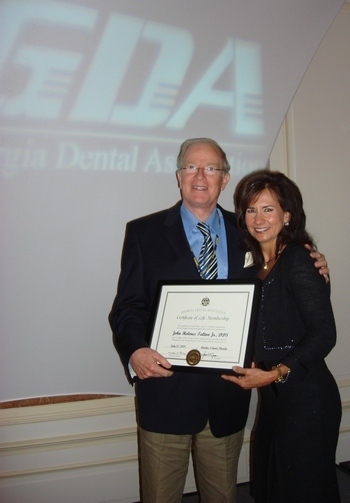 John H. Talton, Jr. DDS, of Vidalia, was honored Sunday, July 27, 2008 during the Georgia Dental Association's 141st Annual Meeting at Amelia Island, FL. Dr. Talton was presented the Lifetime Achievement award from 2007-08 GDA President, Dr. Donna Thomas Moses. Also in attendance for the award presentation were his wife Judy, daughters Jennifer and Mary Lynn and her husband Dr. Brent Nail. New ADA Life Members Drs. 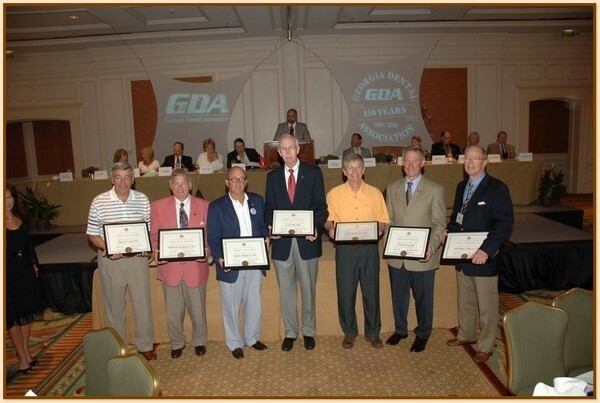 Sidney Tourial, Bill Broadfoot, Doug Giorgio, Ty Ivey, David Kalish, Kent Percy, and John Talton.